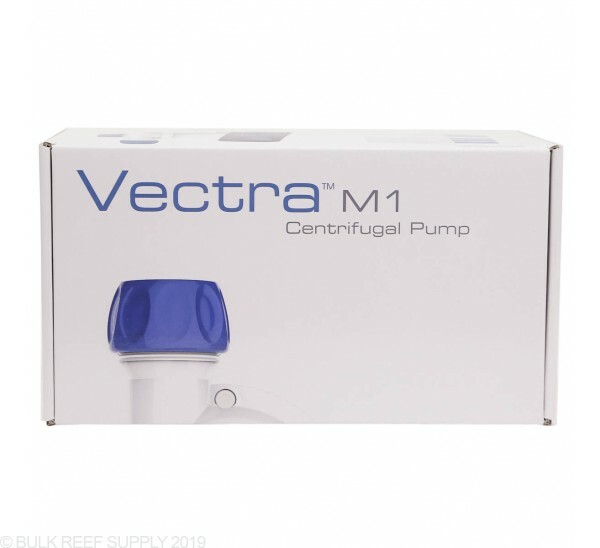 With some of the most advanced pump technology on the market today Ecotech has stepped it up another notch with their Vectra M1 DC Pump. 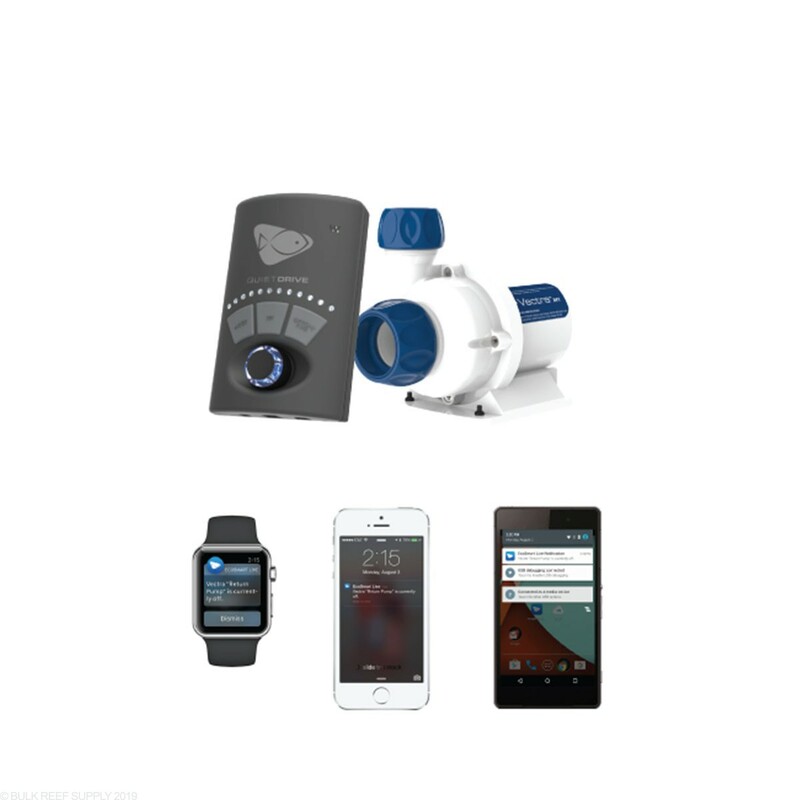 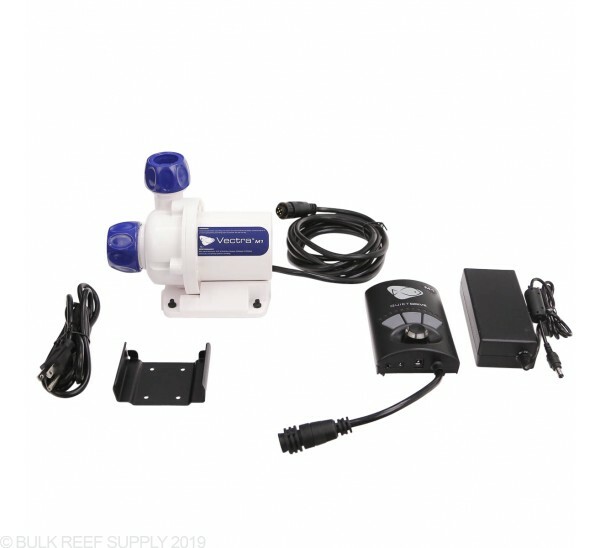 With their QuietDrive technology keeping the pumps noise to an absolute minimum in almost any application. 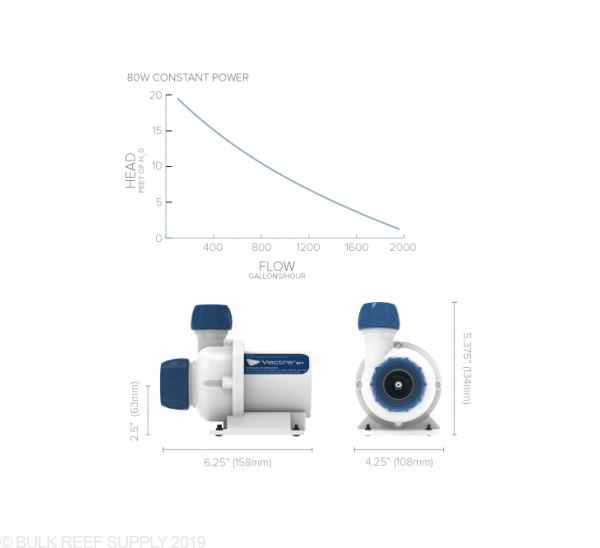 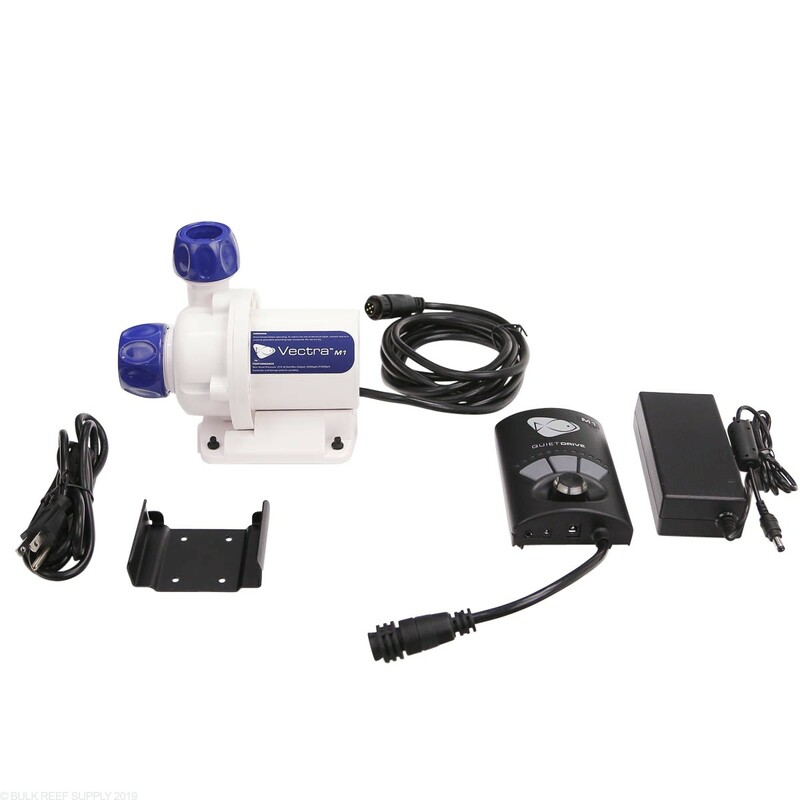 The Vectra M1 can be used as a standard Return pump, or Closed loop pump. 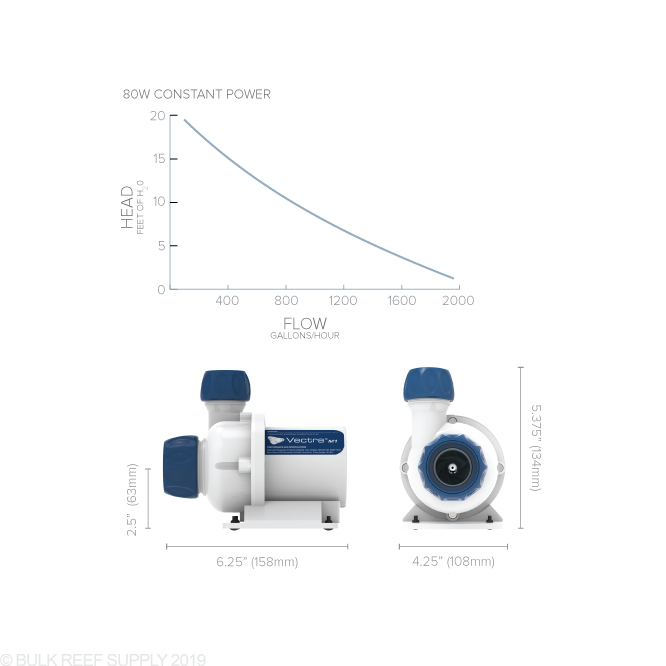 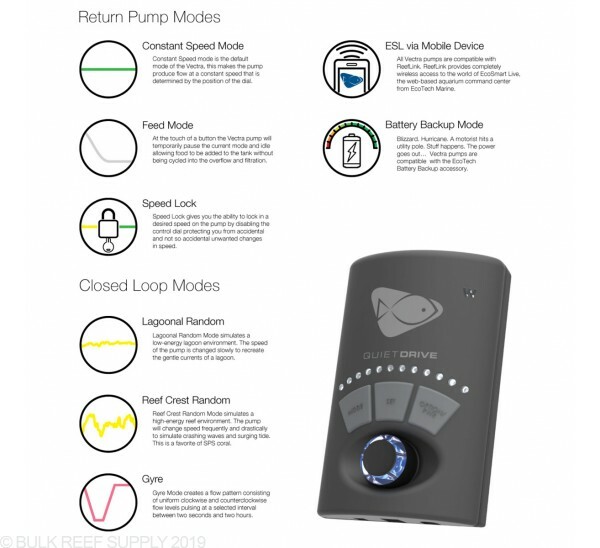 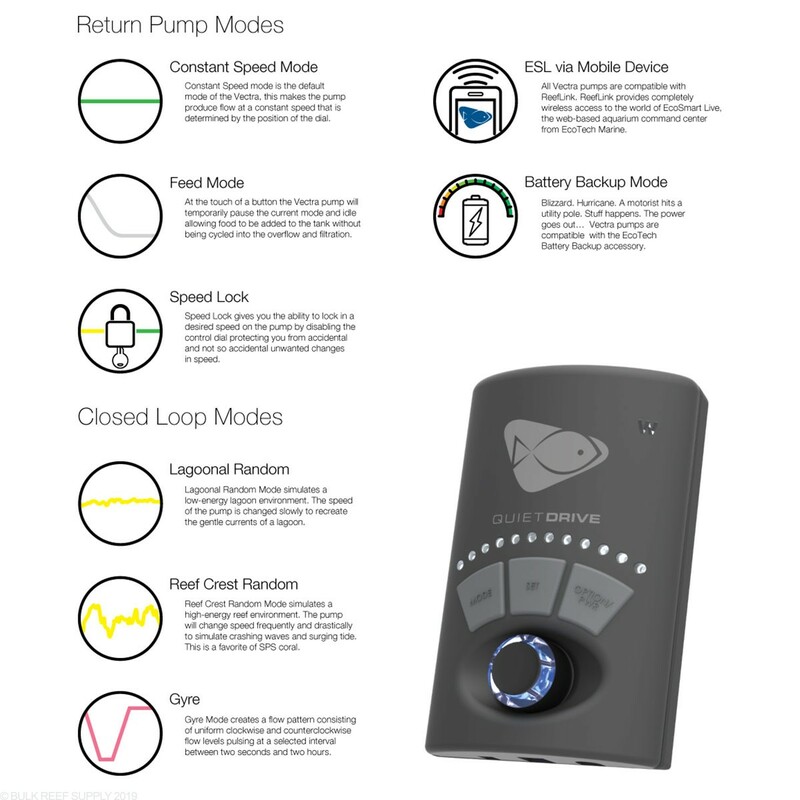 When in a closed loop application you can utilize the same EcoSmart modes that made their Vortech pumps so outstanding. 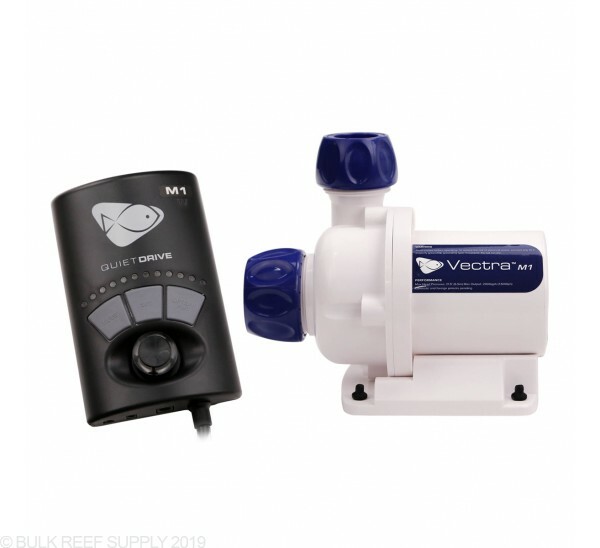 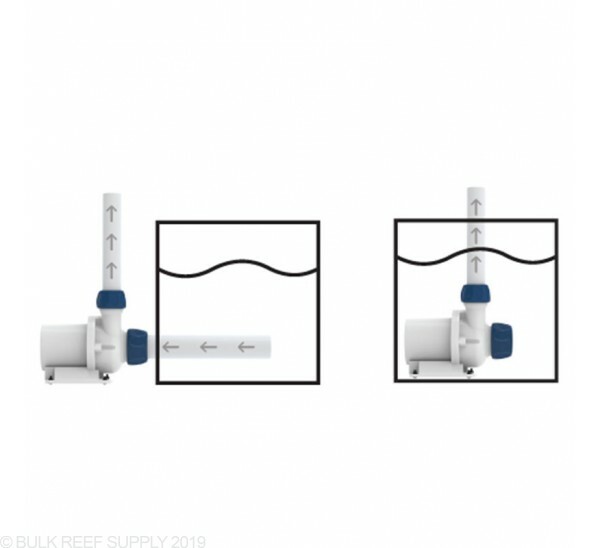 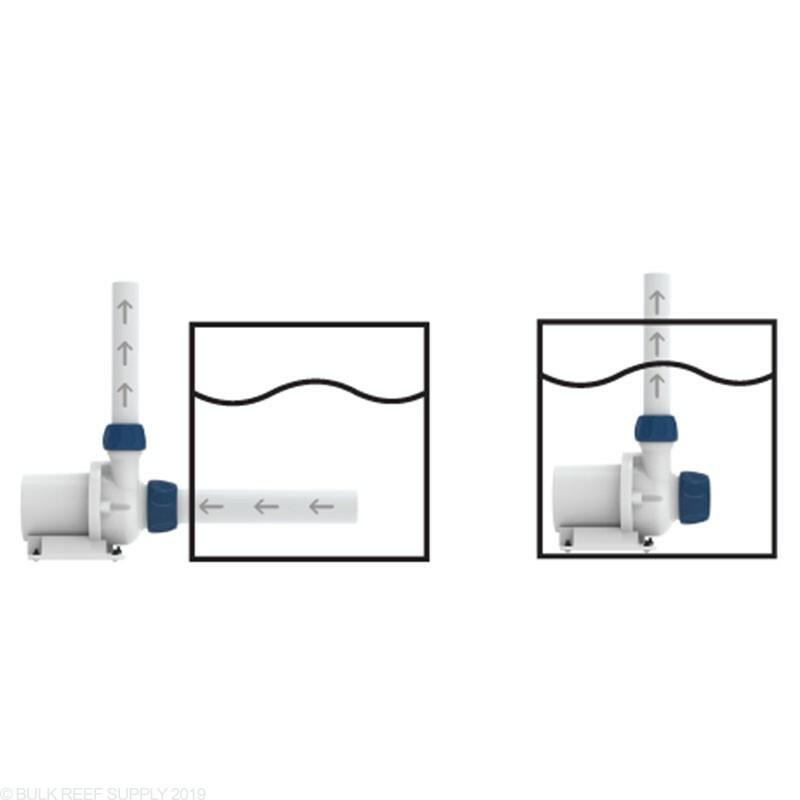 Included with the Vectra Pump are QuickCouple components, these fitted couplers provide the flexibility to make installation, cleaning and adjustments a breeze. 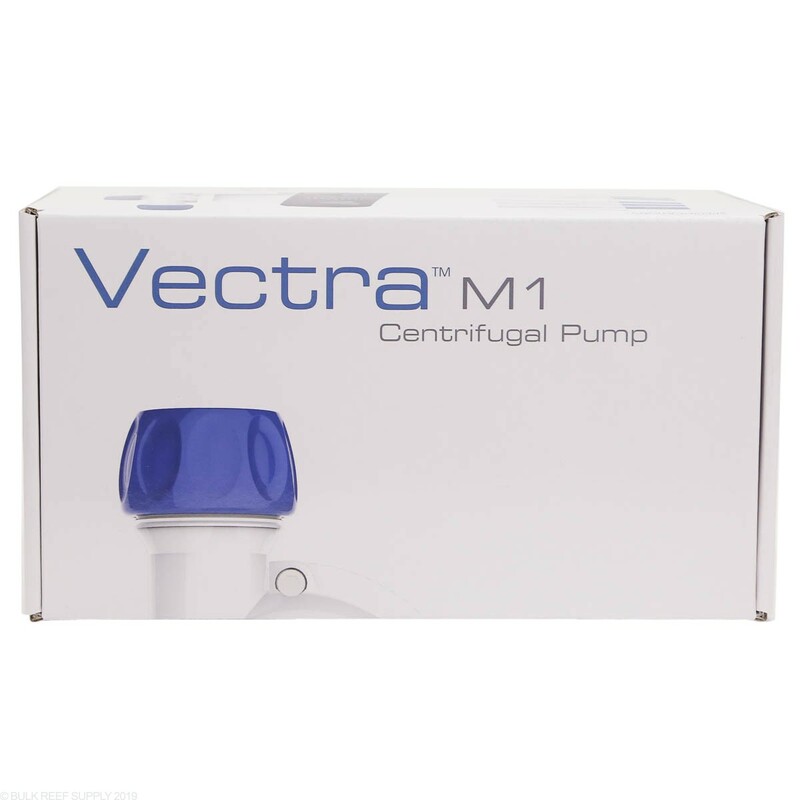 The Vectra also boasts the ability to rotate the volute of the pump to adapt to the needs of your plumbing setup. 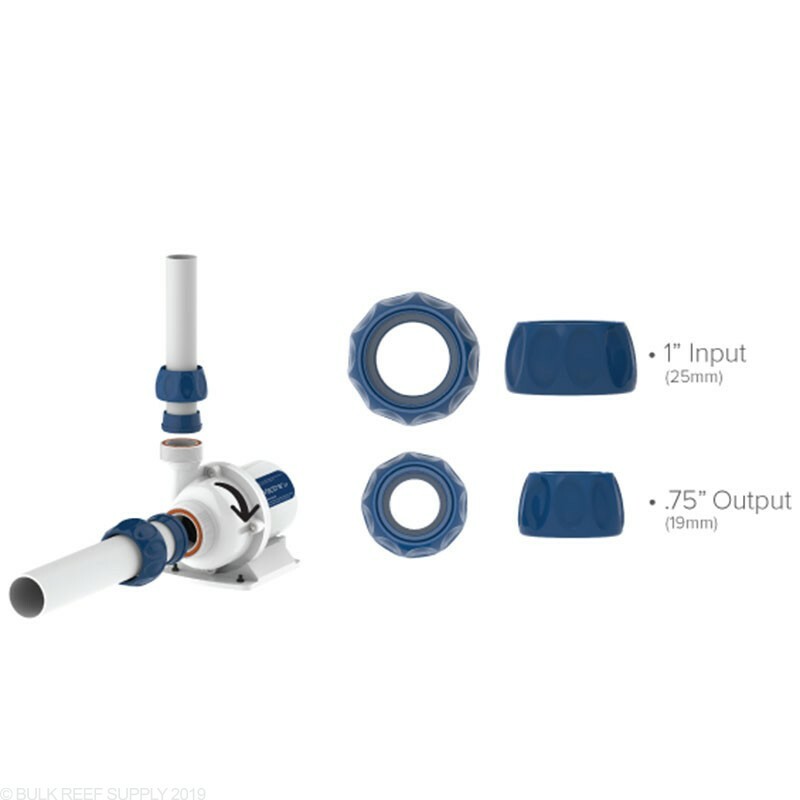 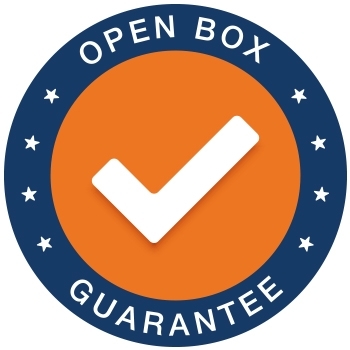 The input and output of the Vectra pumps have threads or quick connect collets that will accept standard US plumbing. 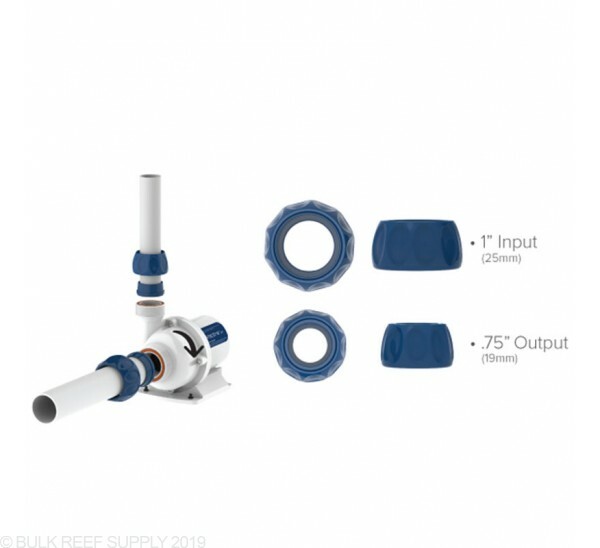 The output of the quick connect collets may need a little finesse to fit the proper sized 3/4" fitting.